Want a [YUMMY] recipe? Yet one that is so super easy? This ones for you…especially if you love chocolate!! Preheat oven & spray an 8×8 baking dish generously with cooking spray. 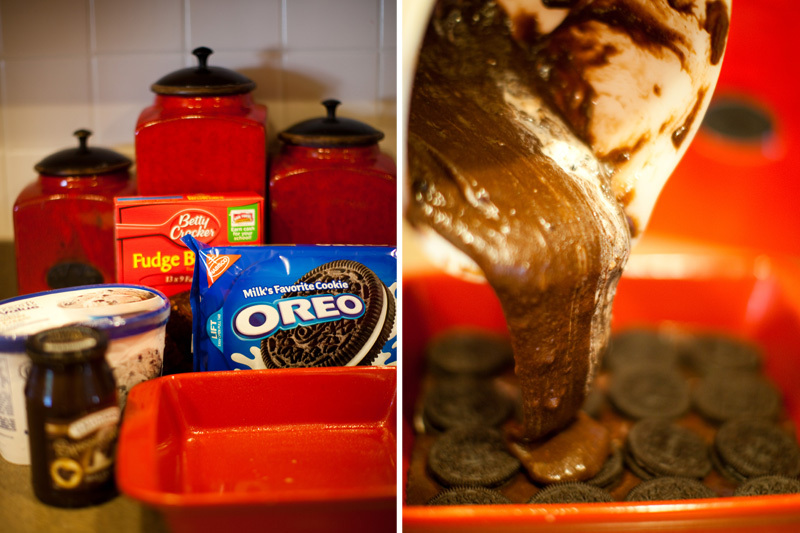 Combine brownie mix, eggs, and oil as directed on the back of the box, but do not add the water. 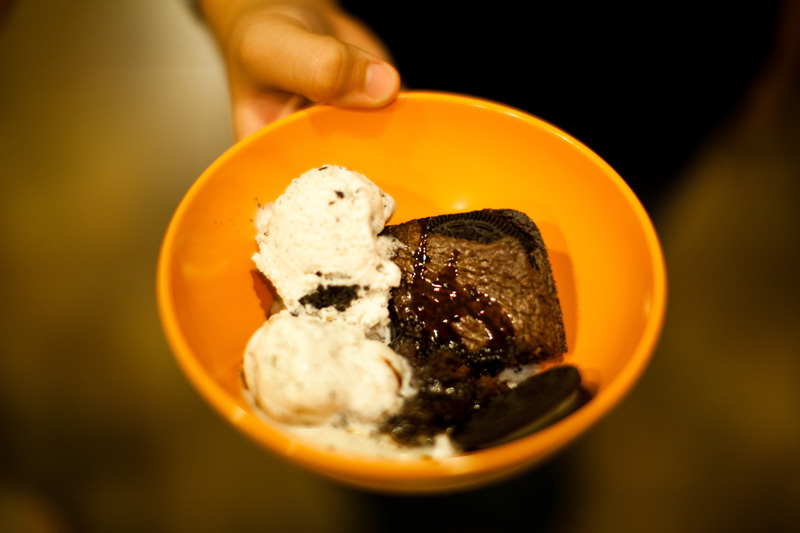 Add ice cream and hot fudge to the brownie batter and stir to combine. 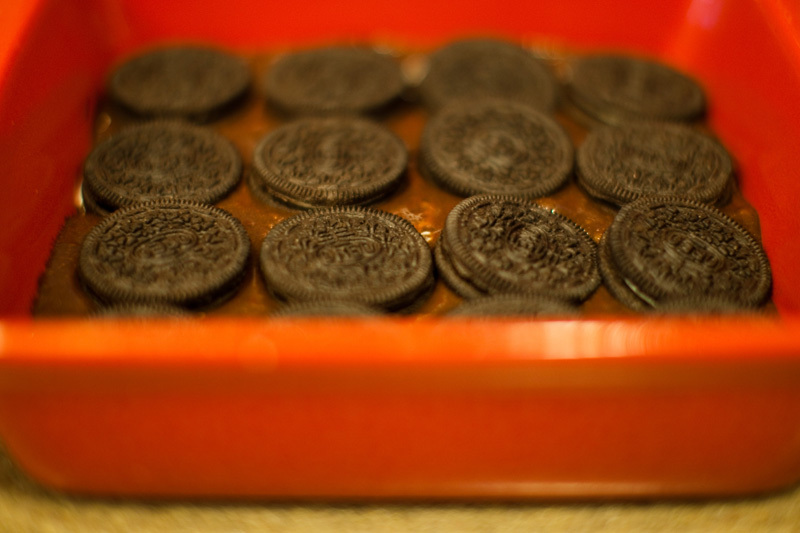 Pour half of the brownie batter into the baking dish, layer with Oreos, then top with remaining batter. Bake for 40-50 minutes or as directed on the back of the box. Rach - Okay, so Oreos are one of my very favorite foods. why haven’t I thought of putting them in brownies before!? 😉 Great idea Erin! yum!